The River Musi River (Musi River), which has been flooded with four drinking water drinks once in a day, has become a Mussoorie dump with industrial waste and the Musi river reached the fourth position as the country's most polluted river. Musi's water has been so bad that it can not be used for drinking water millet at least for farmland. Industrial waste-producing industries have been reduced to more than a day in Musi, and Musi becomes more pollutant. This has led to miscarriages of animals and animals that live on Musi, and some species of water that are drinking water have become exhausted. Furthermore, when the chemicals combined with the moisture cultivated, the quality of the crops or those who have eaten it is affected by chemicals on the nervous system. Fishermen who live based on Musi are causing fish in ponds, causing millions of fish deaths due to the Musi chemicals. 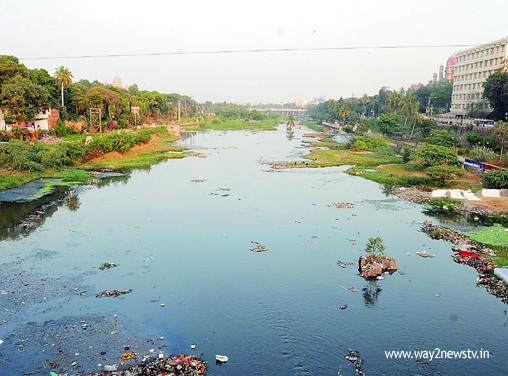 BJP district president PV Shyam Sundar Rao said last year that the Musi River would not be able to utilize the water in the coming days, through the panchayat program of the Musi community, and mobilized the farmers and people. PV Shyam Sundar Rao, who is once again a big fan of Musi Prakashanalan, is set to go on a paddle field in the district of Pochampally on 6th of this month to continue in four zones. While the state government is trying to spend large amounts of money for the Musi Beauty scene, the BJP will not be Musi's beauty, but with the slogan of Musi's purse. Musi cleansing padayatra has already been prepared to collect the conventions and opinions of the intellectuals and make the party lines ready to move until Musi cleansing. Musi's farmers want to take action on the Musi cleaning and take action to purify the Musi.